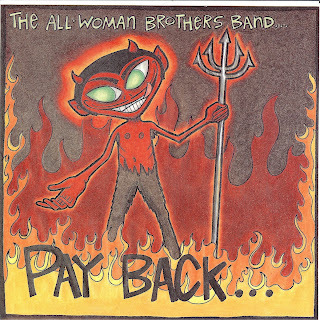 More thanks to Mark Kocher for this little record from Edmonton's All Woman Brothers Band. We don't know why we didn't have a copy of this already - but the CCPS collection is full of oversights. 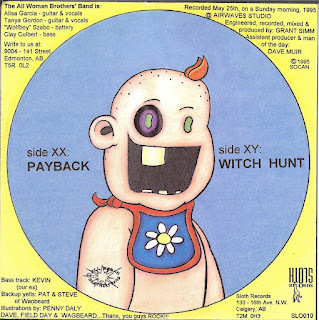 We also didn't realize that this recording had such strong ties to Calgary, with a release via Sloth, recording at Airwaves and the mighty Steve Elaschuk making a vocal contribution.